Ya’ll must know how much I do love me some foggy sunrises. Just, ahhhh, a dream to photograph. It’s of my favorite thing see and photograph as it usually happens on my way to drop my boys off at school from The Woodlands to Tomball, Texas! On this particular morning last week, I will admit we were in carline and I was looking at the sky thinking – okay guys get your stuff together and hop on out – mama’s go to go see about a sunrise! These sweet cows were watching me as I was watching them. It was truly beautiful to behold! 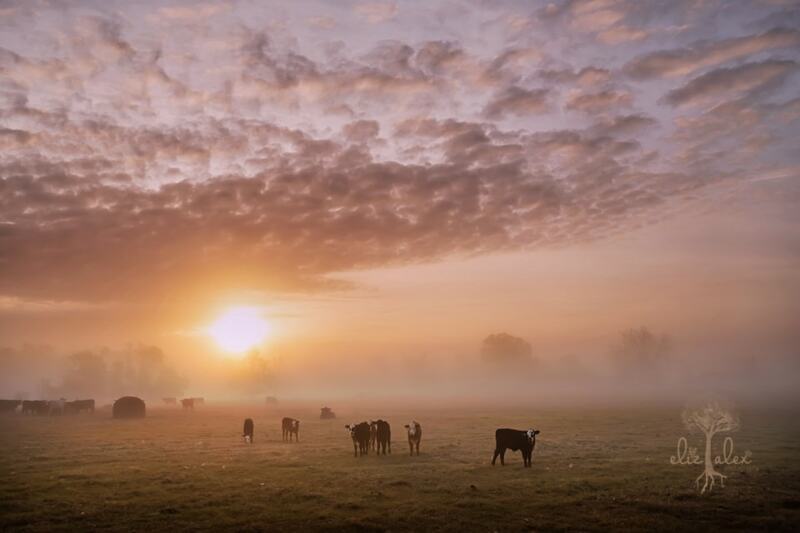 To show you how much I love these mornings – just take a look at this foggy sunrise with cows from September 2017 in Tomball, Texas. And I must not forget my very first foggy sunrise ever is from way back in January of 2013 when my oldest was just 6 was in 1st grade. I had just dropped him off at his elementary school in Allen Texas, hopped out of the car to capture the sunrise. This particular image did require a bit of editing out a playground, and I did print it to 30 x 20 and it’s hanging in my living room! Should I print the one of the cows looking at me?